Blonde tobacco, lilac, ancient roses and sticks of liquorice follow one after the other like a cavalry. Nothing about this experience is boring and yet harmony reigns supreme. The Grande Champagne Hine 1992 Vintage Cognac is, as the name suggests, from the harvest of 1992. Delightfully smooth, this epitomises the reason why the chalky soils of this terroir are referred to as the 'premier cru'. 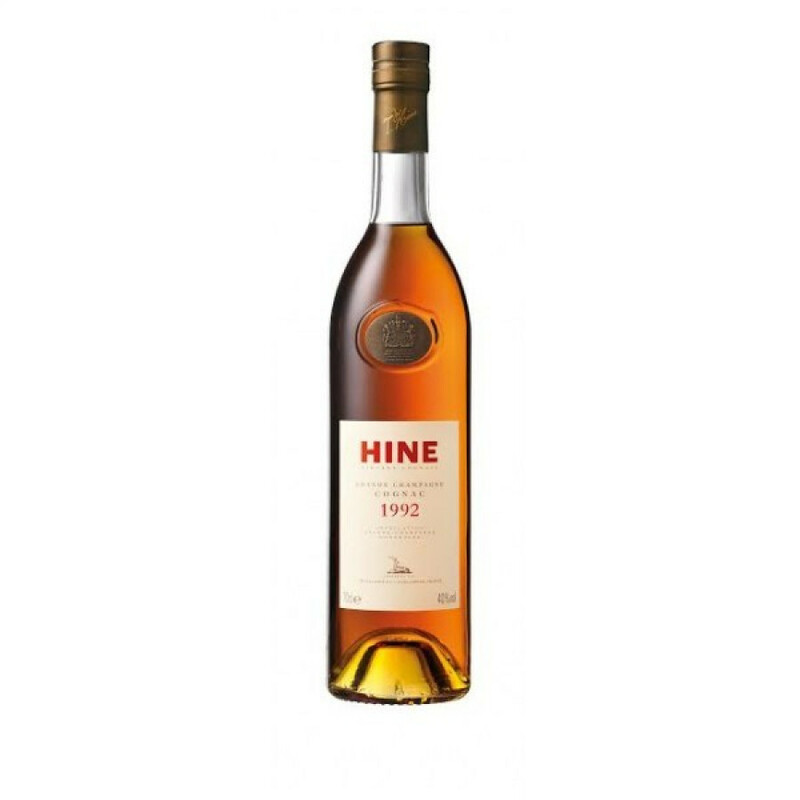 Hine Cognac are becoming renowned for releasing good, vintage cognacs whenever a harvest is exceptional enough to warrant it - and this one is no exception. Presented in the way we've come to expect from Hine - in a traditional shaped bottle with a classic, no-nonsense label. And that's because it needs no bells and whistles - all the talking is done by the delightful cognac contained within. The perfect cognac for the connoisseur, or as a wonderful gift for anyone who enjoys quality liquor.